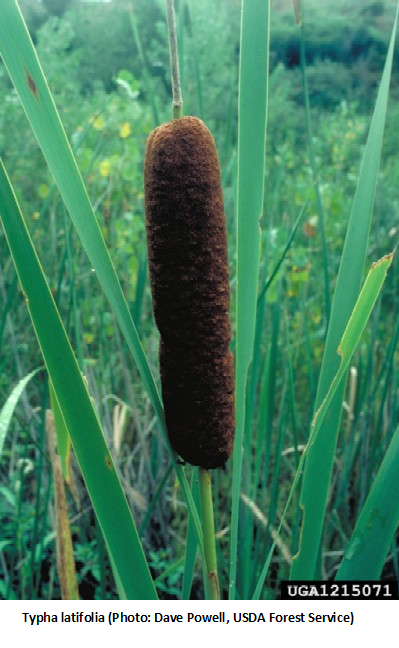 Here is the third installment in our Habitat Restoration Series for Spring. Whether called Serviceberry, Shadbush, Shadblow, Juneberry or Saskatoon, the local name of this important shrub is tied to cultural legacy – the timing of flowering or fruiting often coincided with events like the running of shad, the arrival of traveling preachers, or the month of the year; saskatoon is a shortened version of the Cree name for this shrub, mis-ask-quah-toomina, and also points to this species’ predominance in the Canadian province of Saskatchewan. 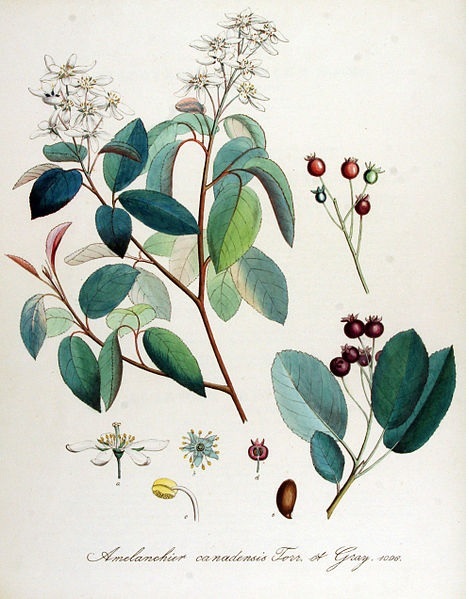 Historically, native tribes used Serviceberry for food (including pemmican), medicine and its hard wood for arrow shafts. So valuable was the dried fruit, Indians utilized it as a form of trade with arriving Europeans. Here in Western NY, you will find Serviceberry is tolerant of a wide range of soils and light but probably does best in locations that are slightly acidic, moist but well-drained, and partially shaded to sunny. Is has more upright, rounded growth reaching anywhere from 6 to 20 feet, producing small white flowers in late April to May. Its food value to wildlife (songbirds, game birds, squirrel and many other mammals – including bear) is high and, like the elderberry, we humans can enjoy the fruit for pies, jams and wines. Serviceberry is our first fruiting shrub with its gifts ripening in June. Like most fruiting shrubs, its age determines maturity in terms of fruit production, sometime around 4 to 5 years. Ornamentally, Serviceberry, if planted close enough together, can form a natural fence or windbreak and its fall color is very vibrant. Other than protecting young shrubs from nibbling Deer, this shrub needs little or no maintenance, which is a great bonus. Be advised, if you plan to harvest berries for your own use, prepare to net the shrubs early as our bird friends can easily strip them completely of fruit in one day. Here on The Acre, we net until ready to harvest but leave plenty for wildlife. If you’ve a number of Serviceberry plants, you can also net just one for your own use and leave the others available for critters. You’ll love the deliciously sweet fruits and wonder how you lived this long having not enjoyed them. Celebrate Arbor Day in the Northeast! American Sycamore, a hardy and strong native that survived Buffalo’s infamous October storm with little damage. Arbor Day is April 26th and what better way to celebrate than by planting a tree or shrub. Below are suggestions for native trees to plant in the Northeast United States. Remember to ALWAYS purchase trees based on the Latin name to ensure they are native species. Also, determine needed conditions for growth before your purchase. Not only will you and your property benefit, you will also be doing a great service for wildlife. Happy Arbor Day!